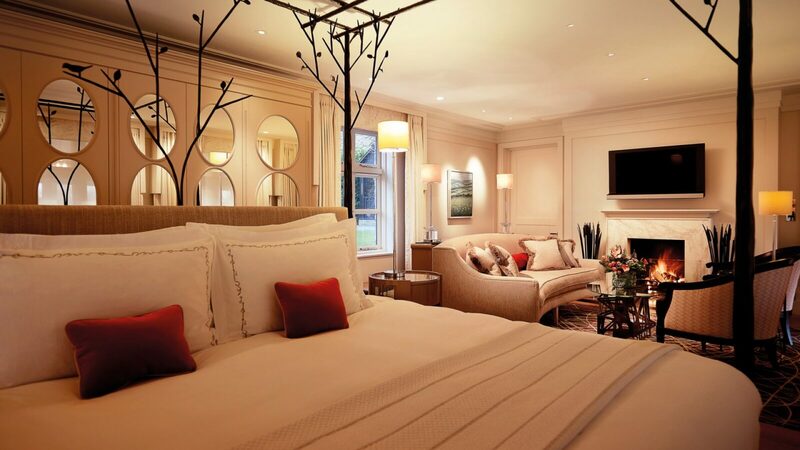 With 240 acres of picturesque parkland, roaring log fires and beautiful rooms and suites, Coworth Park offers five-star festivities like no other. We invite you to discover all our country house hotel has to offer this season, for an unmissable break. We’re delighted to invite you to join us for an unforgettable festive break over Christmas and New Year. With packed itineraries filled with foodie masterclasses, dining events and outdoor pursuits, your country adventure awaits. With a packed calendar of events at nearby Windsor Castle and Ascot Racecourse, it’s time to pull on your wellingtons and head out to explore. Discover our seasonal guide for the best of this season’s festive entertainment. Executive chef Adam Smith triumphs again with his creative twist on traditional festive dishes. 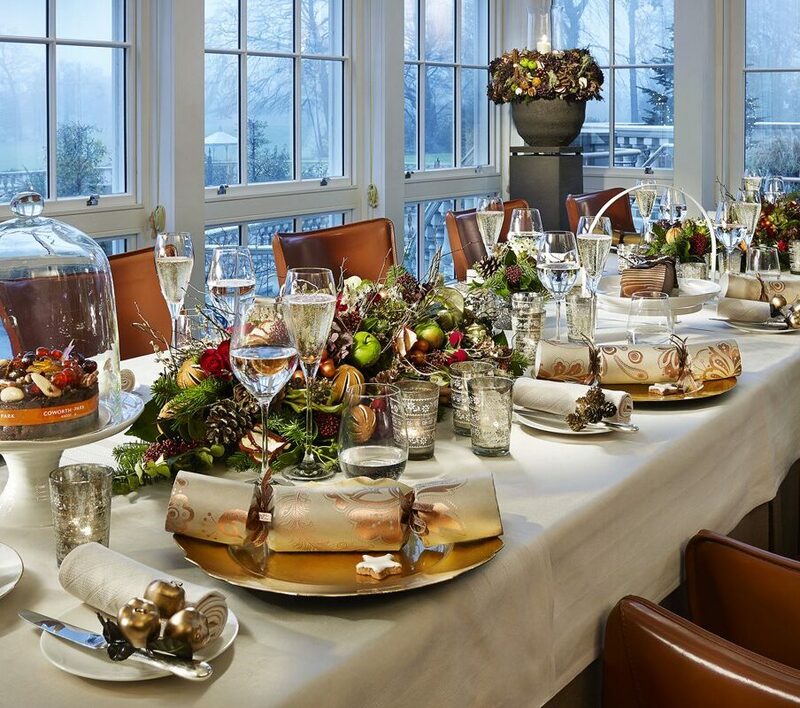 Join us at Michelin-starred Restaurant Coworth Park for an unforgettable celebration throughout the season. Relaxed, rustic dining with a difference. In our beautiful converted barn overlooking the estate, we present the best of this season’s local produce for our new festive menus. Join us throughout the season for lunch or dinner. Our award-winning afternoon tea is given a festive twist this season, as our pastry team work their magic with exquisite pastries, freshly-baked scones and sandwiches. On weekends we also welcome a talented choir who’ll perform traditional carols to set the scene for a festive celebration. 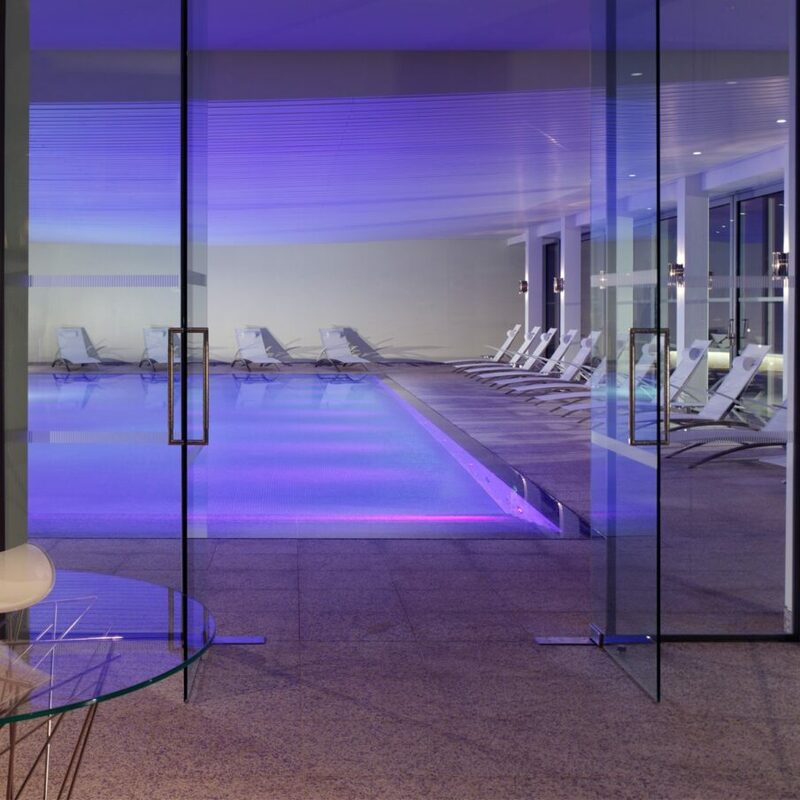 When the winter chill hits, we invite you to warm up and enjoy some blissful pampering at our beautiful spa. This season we open our doors for special beauty events, including a shopping night with luxury brands, and pampering evenings to help you look and feel your best – just in time for party season. 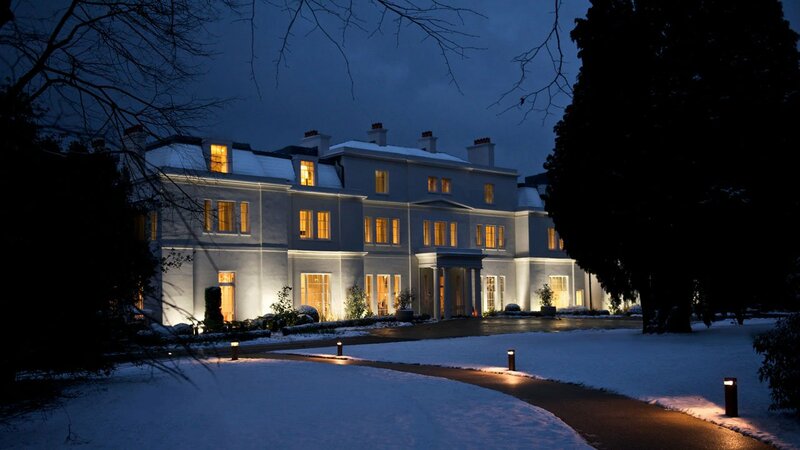 Coworth Park is a wonderful place to celebrate the festive season, with country charm and a picturesque rural setting. Let us make your occasion one to remember in one of our beautiful event spaces, from the elegant Oak Room to the grand fairytale setting of The Tower House. As a little gift from us, book before the end of October and we’ll also treat you to complimentary canapés. The area around Coworth Park has so much to offer over the festive season, so we asked our guest relations manager, Maggie Xu, for her recommendations. 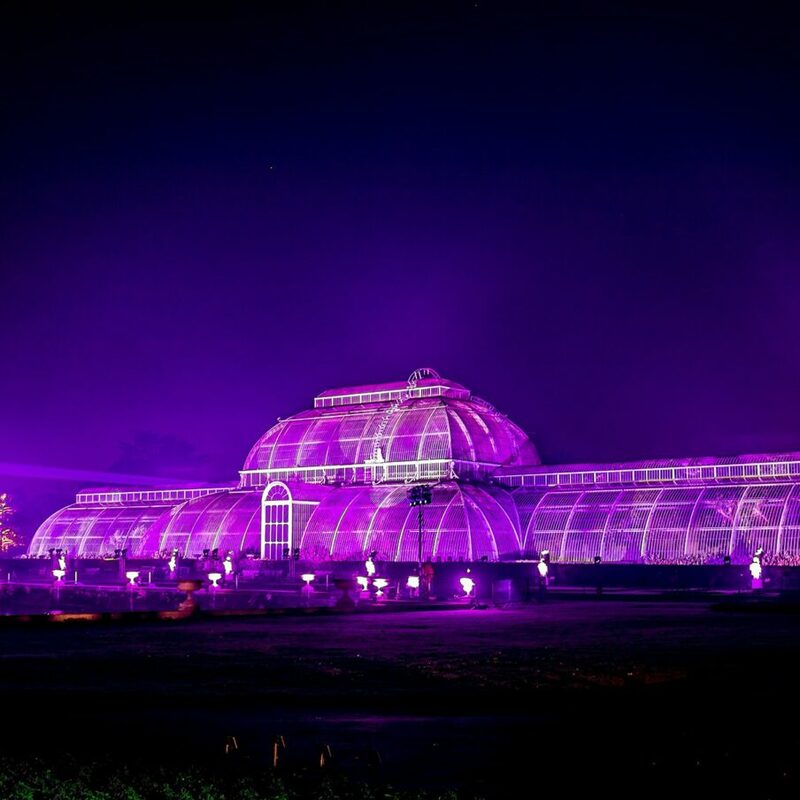 From strolling through the enchanting trail of lights at Kew Gardens to family race days in Ascot, we think you’ll love what’s on this winter.